Sign up for Broadjam today to follow Choking Lester, and be notified when they upload new stuff or update their news! 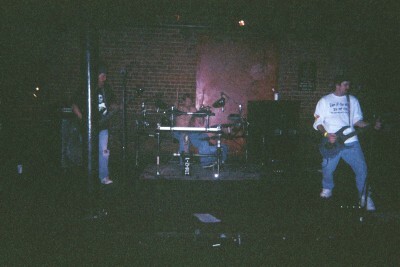 This three piece powerhouse played together from 1990 thru 1996 becoming a staple in Detroit and surrounding areas. Although they were playing with bands such as KingsX,CCdeville,FasterPussycat,& Slaves on Dope they couldn't seem to financially hold things together and had to stop. Now in 2001 they have RE-United! Their album entitled Here to stay is 11 tracks of unique,versatile,original based melodic rock songs that will please any crowd!!!! Good news Choking Lester has been signed to Jetspeed/RedGalaxy records 02-25-2004.Our album will be released worldwide very soon!!!!! !